The Regatta Signal 650 Gilet comes with a hood (fluorescent yellow for high visibility, folded into collar), crotch strap (folder up in pocket) and D-ring for attachment to an emergency line making it perfect for a maritime environment. 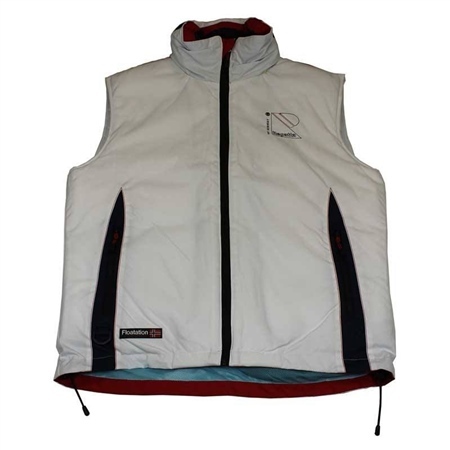 It is lightweight, comfortable and flexible with soft buoyancy material and fleece in the collar. Zippers in the front and cords are available for individual adjustment and all pockets have zippers with an inner pocket fitted for the likes of an iPod.